Well I’m back from vacation. After spending a week in California, it’s great to be back in the Armpit of America. Now that I’m back, you can expect me to post more regularly. And you can expect a couple entries comparing New Jersey to that state on the west coast in the near future. Who needs California and its beautiful scenery, laid back atmosphere, and readily available medical marijuana anyway? Now onto some other stuff. About two weeks ago, I got an e-mail from someone at a PR company. She told me that her company is launching a new website and a campaign aimed at defending New Jersey from all the bullying it falls victim to. The name of the campaign? “Jersey Doesn’t Stink.” Naturally, I assumed this was all a joke. Who in their right mind would spend the time to create a website defending the Armpit of America (aside from me, of course). Well, I was just notified that the site has launched and it is indeed real. It contains a petition to stand up for our little state. There’s also a hilarious video in which this guy walks around New York City asking people how they feel about New Jersey. 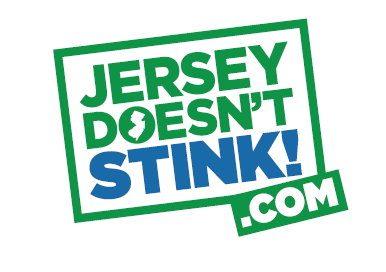 So if you love New Jersey as much as I do, then go check out Jersey Doesn’t Stink and join their fight. This entry was posted on June 8, 2010 at 8:31 pm and is filed under Personal, Random. You can subscribe via RSS 2.0 feed to this post's comments.